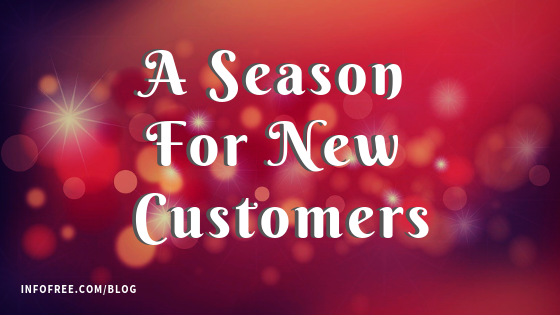 Yes, this is that time of the year where your team should be the Santa Clause for your prospects, customers and business associates. During this festive season, your targeted audience is binding with the traditions of family and also friends. If your team can find ways to be a part of that you’re a winner. Local businesses or geographical boundaries associated with your business can define what you are looking for in the virtual and real world to reach out. You can repackage your offers as special gifts for your customers. Simple gifts matter. For example, a stationary shop owner decided to give kids some color pencils and became a darling for the customers for the coming year as kids loved and goaded their parents to revisit the shop for their requirements. Your team will also come out on top if you identify the different festivities in your domain. Remember there are major and minor micro-societies in any targeted business area. It will pay to understand the various traditions. Most of the time it comes as a surprise to minorities when wished or greeted on their festive occasion. Thus forming a bond with a smile. One of the most ignored aspects of lead generation is personalization on an emotional front. For many of your prospects, there is a hidden emotional part like being alone or also having suffered a loss. The causes can be any but the solution is the same. An understanding outreach from your team gets you a client from a prospect. The free tool CRM provided with your Infofree.com subscription is a sure way to not let any prospect left behind as you move on. Also, the CRM will definitely play a major role as you move forward and utilize optimized details from lists, provided by Infofree.com, where the business databases, have 95% accuracy and consumer databases approximately 90% accuracy.